Email BuffaloCreek Bulldogges BuffaloCreek Bulldogges has been breeding Olde English Bulldogges for 11 years,we have 2 litters a year,& now have 7 pups Forsale phone or E-mail for info pups are IOEBA registered.pups come up to date on all shots,& Wormings & guanteree. 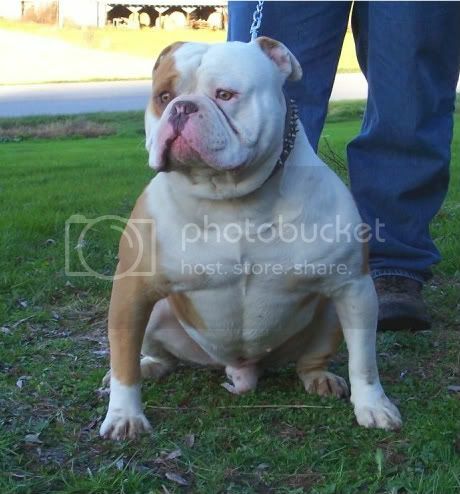 BuffaloCreek Bulldogges currently does not have any puppies for sale on PupLookUp. We Breed the Most freakiest Bulldogs on the Planet,are oldes are thick,with Huge Head,Rears,Chests,& Bone,usually have 2 litters a year,we have pups at this time call or info for questions.